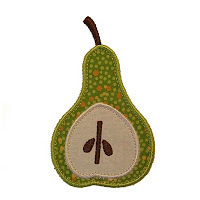 This design looks so cute on a childs t-shirt and is delightful on table linen too. This applique range features five variations of pears in half and whole form and with different edge and inside finishes. 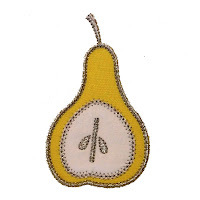 Three of the pears are in botanical form as a half pear with a combination of Satin Stitch edge finish, Diamond Stitch edge finish, and a combination of Satin Stitch for the outside and Diamond Stitch for the inside. 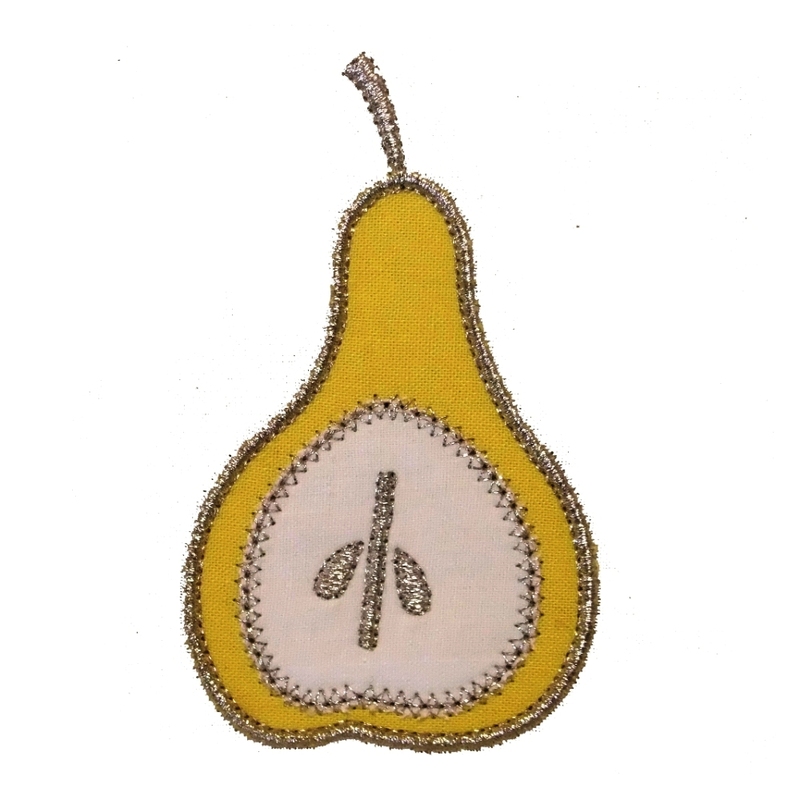 To really show off this great pear shape, there are also two whole pears - one with Satin Stitch edge finish and the other with Diamond Stitch edge finish. 4x4 hoop - exact sizes: 3" x 1.83" and 3.93" x 2.37"
5x7 hoop - exact sizes: 5" x 3"
- BOTANICAL PEARS in the format of your choice. 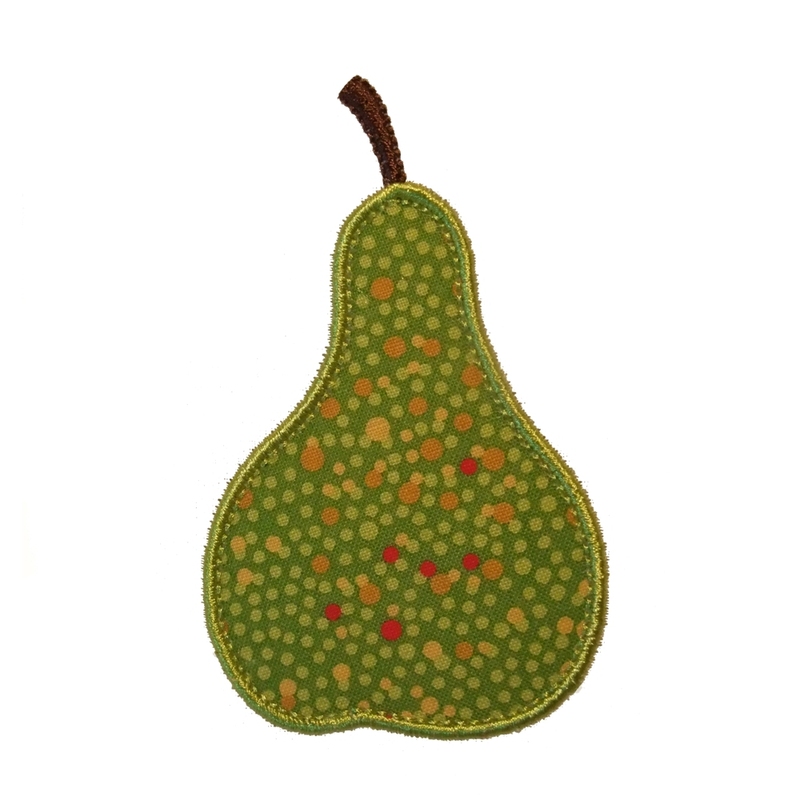 Have fun using different thread color and fabric color combinations with BOTANICAL PEARS and you will be rewarded with a vast array of different looks. Make it festive by using gold or silver Metallic Thread.